If you or your students use Kaltura to record videos, we recommend you confirm your microphone is working properly before recording a video. This will help ensure you don’t have to re-record your video. 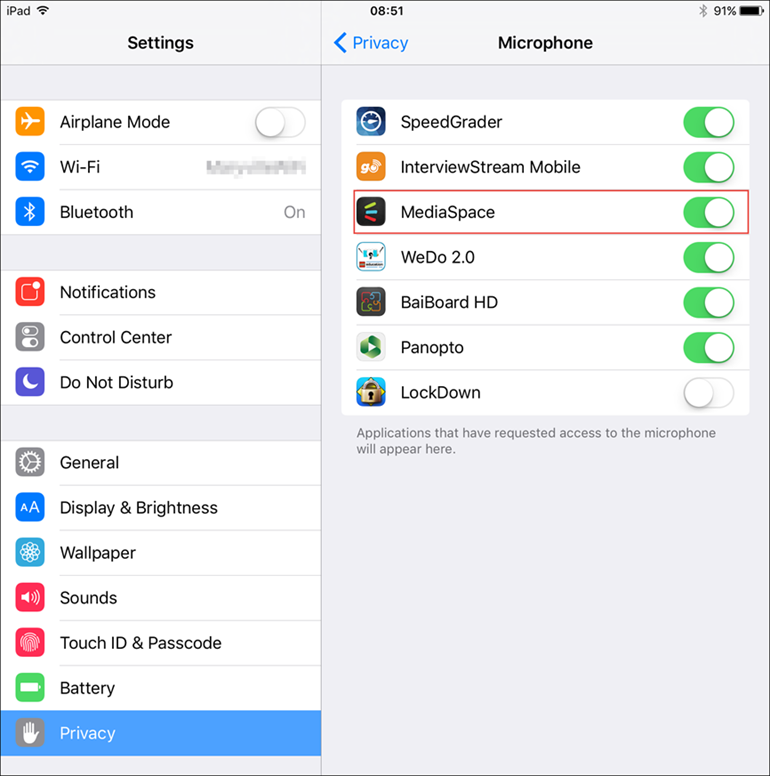 Follow these steps, depending on your device, to confirm your microphone is turned on and the volume is turned all the way up. You can also use the Online Mic Test tool to test your microphone. 1. Open the Control Panel. Or, search Windows for Control Panel. 3. Click the Recording tab. 4. Confirm the correct device is selected as the default device. 5. Right-click the device, and then click Properties. 6. Click the Levels tab. 7. Confirm the volume is at 100. 3. Click Hardware and Sound. 5. Click Speakers, and then Properties. 1. Click the Apple icon in the top-left corner of your monitor. 4. Click the Input tab. 5. Confirm the internal microphone is selected. 6. Confirm the input volume slider is all the way to the right. 7. Speak into your microphone and confirm the bars move as your speak. 4. Confirm the dial next to MediaSpace is turned on. If your microphone is functioning properly, but you’re still experiencing audio playback issues, please email LDT. This entry was posted in General Technology, Help Documentation, Tech Tools and tagged audio, iPad, Kaltura, Mac, microphone, record, video, Windows by . Bookmark the permalink.